Baseball season is here! This quilt utilizes a panel to give a great image without all of the work! 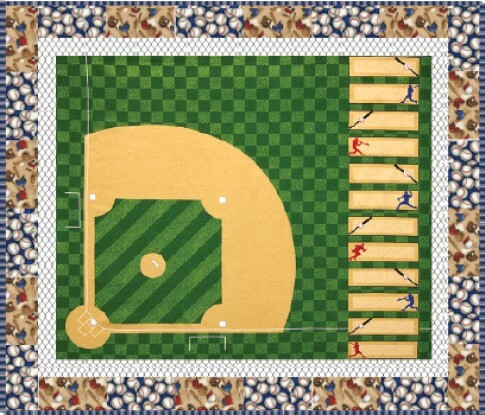 With only four fabrics, you'll be able to create a great quilt for yourself, or that baseball fan in your family. Ready, set, play ball!